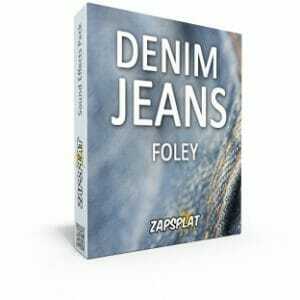 If you're looking for some free demin jeans sound effects, look no further. This free sound effect pack contains 33 recordings of various jeans movements, putting on, taking off, shaking, dropping on the floor and more. Also included are walking, jogging and running movements that can be used as is, or edited down to match the movements of your on-screen character. We've recorded this pack so you don't have to spend time in post production adding in all those extra sounds to bring your production to life. We've also plenty more of these in our main library Foley Movements category here.